Bitcoin is a decentralized digital currency, that has no central authority and not tied to any banks. The system is peer-to-peer and transactions take place between users directly. Before diving into the world of Bitcoin, it is a good idea to read the getting started guide on bitcoin.org. One of the important pieces of software required when using Bitcoins is a Bitcoin Wallet. 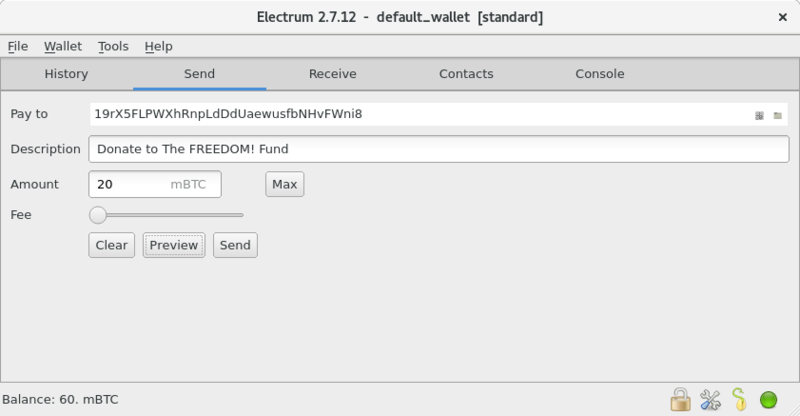 On Fedora, there is a new Bitcoin wallet called Electrum that you can use to send and receive Bitcoins. 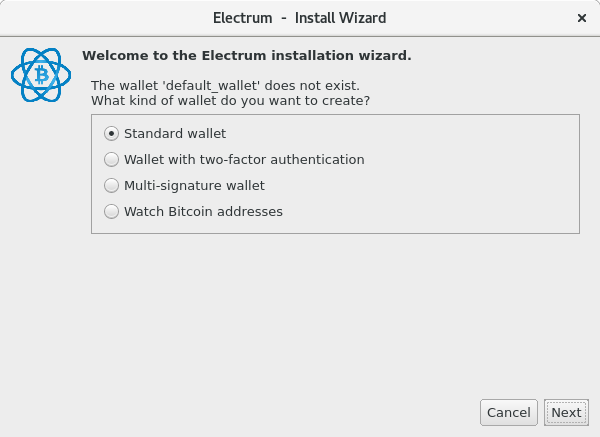 After you have installed Electrum, start the Application, and you will be greeted by a startup wizard, stepping you through the basic setup. In this example, follow the steps in the screenshots below to create a Standard Electrum Bitcoin wallet. Be sure to write down the generation seed with a pen on a paper, do not store it on your computer. Do it now, before you receive any Bitcoins! 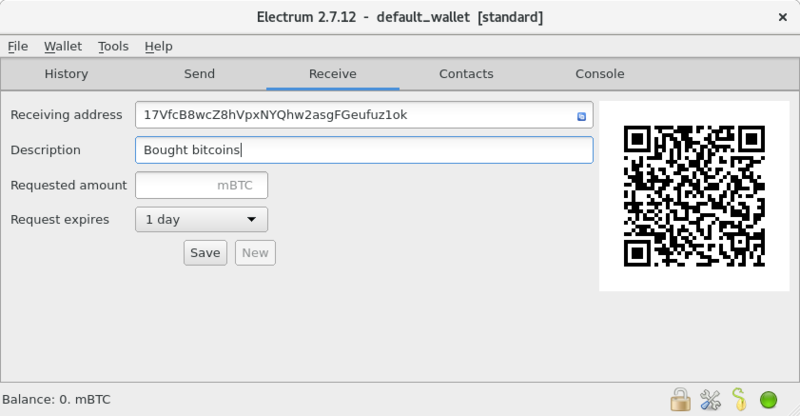 You can also send bitcoins, which is done via the Send tab in electrum. When sending Bitcoins, you will need the receiver’s Bitcoin address, which can be text, a Bitcoin url or QR-image. You might want to adjust the fee depending on the priority of the transaction, I selected the lowest fee since transfer time was not important. We are happy to hear your experiences with Bitcoin on Fedora. Did you experience any difficulties? What wallet(s) do you use? Anything else regarding Electrum or Bitcoin? Nice introduction, it brings a couple of questions to mind though. is there a bitcoin mining program for Fedora and if so do you intend to do an article about setting that up as well? You can try cgminer for bitcoin mining. But bitcoin mining with CPU is not profitable at all – even bitcoin mining with GPU is not profitable and you would mine nothing, even in a mining pool. Mining difficulty went up exponentially in recent years, so if you wanto to mine something you need to invest lot of money (more than $5000 for sure) into specialized ASIC hardware. It is more feasible to just buy bitcoins on bitstamp.net (exchange) or localbitcoins.com (buy from people). However, you can mine other decentralized currencies such as Ethereum or Zcash if you buy one or more high-end graphic cards ($200-$300 each). Thanks, there are no mining software in the official Fedora repository, but you can always compile or run programs made for Linux. I agree with Miso that it would not be profitable unless you invest in specialized hardware. Check out Jaxx, it’s awesome. Nice to have a wallet, but not as secure as core or armory. It would be nice to offer several options for end-users. There have been an ongoing effort since 2013 to get Bitcoin Core into the official Fedora repository. https://bugzilla.redhat.com/show_bug.cgi?id=1020292 for details. Fedora should integrate Monero… and stand out from the crowd. I would also like to see Monero in our official repository. Most of the packagers are volunteers, so anyone with technically skills can join and create a Monero package. I’ve been looking for an easy way to setup a Bitcoin wallet on Fedora, so this is perfect. 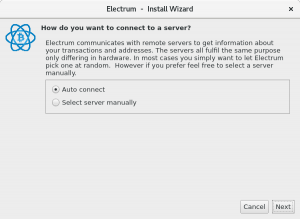 Any idea why Electrum doesn’t show up in Gnome Software? I tried searching for it, as well as “bitcoin”, but nothing came up. It makes it hard for people to discover the app. Of course, it was easy to install via the terminal. Thanks for the info. Including it in Gnome Software makes it much more discoverable. Hi. I like this idea, but got a little concerned with the suggestion “to write down the generation seed with a pen on a paper, do not store it on your computer.” I use KeePassX as password manager and sync its database on all my devises with ownCloud. It is not secure enough? Writing it down with a pen on a paper will is simple and easy to do and explain. I consider it safe for users that already use a secure password manager to store the generation seed there. Hmmm… thanks. I think I will make an exception and right it down on paper. I then need to keep that paper in a secure – and easy to remember – location. It depends. There are no reports of KeePassX (I use it myself) ever beeing compromised. Obviously it uses sound crypto. OK, thanks. Please see my comment above.